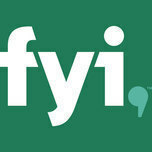 Where can I use the FYI app? Do I have to be at home? No, but you do have to be in the United States. The app won't work if you're traveling internationally.